I needed to free up some time in the afternoon so I decided to put this Slow Cooker Salisbury Steak on tonight’s supper menu. I think there is some room for improvement but I decided to prepare it as written to see how it was. I thought it was a little on the salty side but I guess it depends on your taste – my wife loved it. 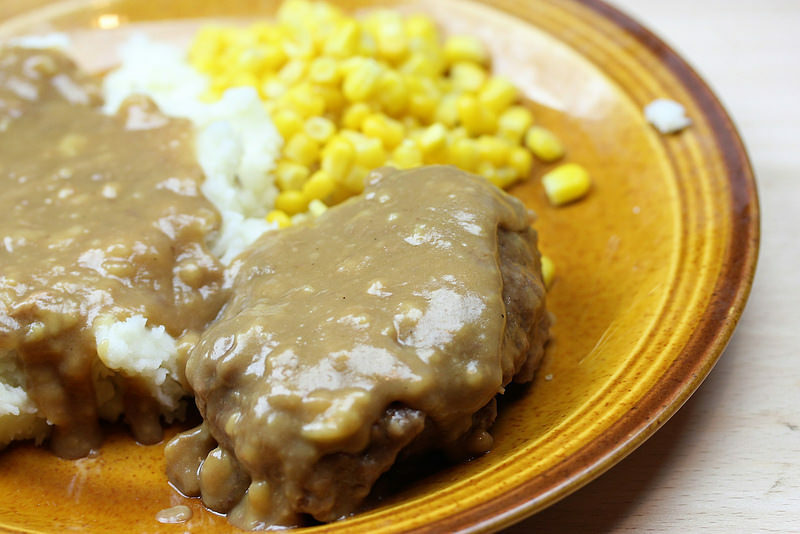 The next time your looking for a good slow cooker recipe give this Slow Cooker Salisbury Steak recipe a try. 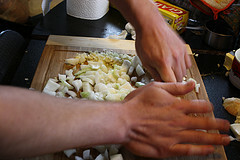 In a large bowl using your hands mix together the ground beef, onion soup mix, bread crumbs, and milk; form into eight patties. In a medium size bowl mix together the soup and Au jus mix. Roll the patties lightly in flour and brown them on both sides in a large skillet using the oil. Arrange the parries in a pyramid shape in the slow cooker and pour the soup mixture over the top. Cook on low for 4-5 hours or until burger is done. 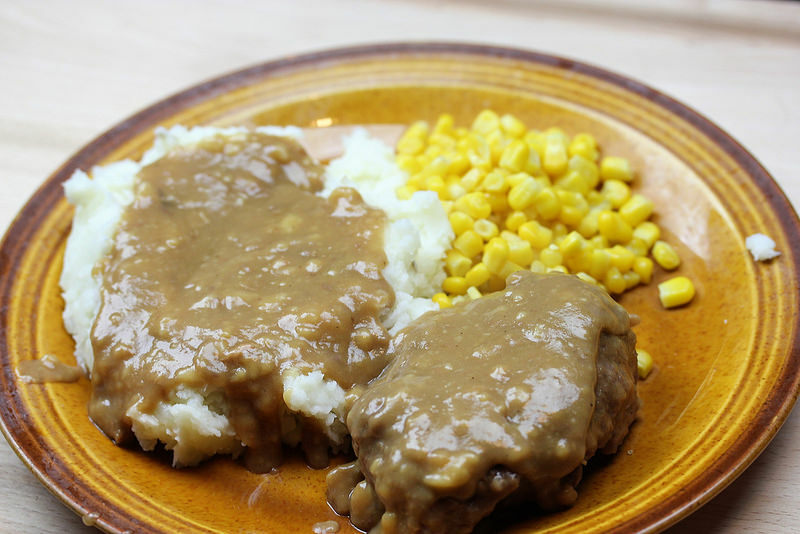 Serve hot with the gravy over the top of the patties and mashed potatoes.